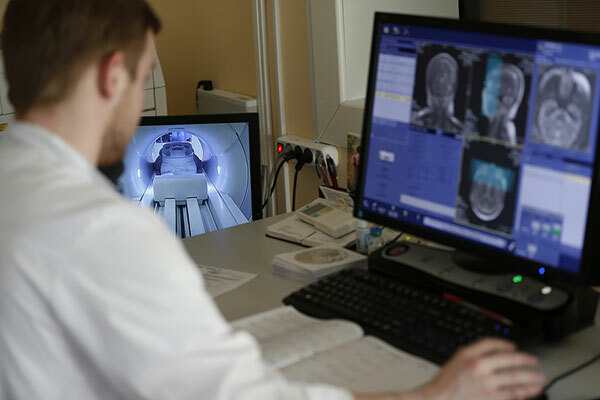 The potential impact of personalization in diagnostic and therapeutic imaging on patient care will see the precision medical imaging market grow from $120 million in 2017 to over $8 billion by 2027, said a new report. As healthcare becomes more patient-centric, technology advances such as clinical decision support software, sensors, 3D printing, and precision analytics capabilities like deep learning and artificial intelligence (AI) will be applied to medical imaging, added the report titled “Growth Opportunities in Precision Medical Imaging, Forecast to 2022” from growth partnership company Frost & Sullivan. “Precision medical imaging has tremendous potential to improve all aspects of the care continuum, thus supporting emerging care approaches that are more targeted, predictive, translational, personalized and effective,” said Siddharth Saha, vice president of Research, Transformational Health. "AI-enriched imaging equipment will help adapt and personalize the imaging protocols and procedures while precise radiomic and phenomic datasets from the given clinical context will enable deep learning, thereby reinforcing medical imaging's contribution to precision medicine. There are several firms in the ecosystem making very valuable contributions to the care pathways and this pool is set to exponentially grow in the short term." The analysis defines the role of medical imaging in the precision medicine paradigm and assesses market opportunities. The growth opportunities are then mapped to the stages of the imaging care continuum—study ordering, image acquisition, image interpretation, image-based intervention, therapeutic dose radiation, and study impact evaluation. • Evidence-based study ordering, which can help tie imaging activity to specific patient needs by enabling more efficient models. • Advanced imaging techniques and personalized image acquisition protocols, which strengthen the capabilities of imaging for definitive diagnosis and prognosis. • Adaptive, anatomical, and applied machine intelligence. • Precision reporting with informed and correlated study interpretation. • Quantitative imaging and radiomics. Radiomics, in combination with genomics, can result in the highly transformative technology of radiogenomics. • Image-based, 3D-printed implants and anatomical guides. 3D printing can greatly aid precision medicine by generating patient-tailored, made-to-fit devices, including surgical cutting guides, biocompatible implants, and deformable models for surgical training. • Real-time, image-guided interventions. High-precision techniques such as interventional oncology, external beam radiotherapy, and focused ultrasound are raising the profile of interventional oncology. • Precise oncologic radiation dose therapy. A new generation of treatment planning and dose measurement applications is driving radiotherapy toward more precise and adaptive radiation therapy. • Molecular imaging of theranostic radiotracers. • Imaging study value, quality, and outcomes analytics. Operational and financial analytics are evolving beyond tracking basic key performance indicators (KPIs) related to imaging to covering complete business intelligence platforms. "While most major imaging companies are keen to make the most of the opportunities in precision imaging, they are at various levels of adoption. For instance, Siemens Healthineers has fully embraced the precision trend since it offers multi-pronged value through its solutions portfolio," noted Saha.